From the swamps of the east to the mountains of the west, Virginia’s birds represent a rich cultural and ecological heritage. The management and conservation of this heritage is the province of all citizens of the Commonwealth. 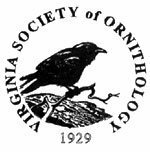 The second Virginia Breeding Bird Atlas (VABBA2) is a five-year survey of all bird species that breed within the state borders. Using data collected over the course of this project, project researchers will map the current distribution and breeding status of Virginia’s bird community, providing a vital resource to inform avian conservation and management strategies. More than 29 years have passed since the completion of the first Breeding Bird Atlas in Virginia and many environmental changes have occurred. Climate change, urbanization, and energy development are rapidly altering the conditions that birds and other wildlife encounter on the landscape. Data collected for this project tell us when birds are breeding, what habitats they are utilizing, and ultimately, how populations have changed over the last three decades. The VABBA2 is primarily a citizen science project driven by volunteer data collection. Virginia has a strong birding community which is partnering with the Virginia Society of Ornithology (VSO) and Virginia Department of Game and Inland Fisheries (VDGIF) to accomplish this largest bird monitoring effort in Virginia to date. Additionally, folks who have an interest in birds, nature, or outdoor recreation, but may not yet be birders, are encouraged to use this as an opportunity to learn about birds and become involved with a critically important conservation effort. Volunteers collect information on the species and number of birds they observe, as well as evidence of breeding behavior. 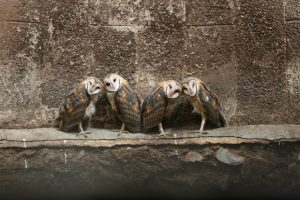 The Atlas uses a series of breeding codes to describe different types of breeding behavior that one might observe in the field (See Handbook and Materials for more details). Volunteers report their observations directly to the project through the VABBA2 eBird portal. The Atlas project also seeks to generate rigorous estimates of breeding bird population abundance and density. This is a challenging task and requires the use of standardized point-count methods. Beginning in 2017, trained technicians will be deployed around the state to conduct these point-counts. To date, over 9000 point counts have been conducted throughout Virginia. If you have experience surveying for birds using point count methods and are interested in these positions, please contact virginiabirdsurvey@vt.edu for more information. Several organizations have committed to fully support the Atlas over its 5-year span, including VSO and VDGIF. Given the size and range of habitats in Virginia, the project engages with many of the local bird and conservation groups throughout Virginia. Over 950 volunteers from a broad range of clubs, societies, and state non-profits have contributed data to the project thus far. VABBA2 is overseen by a steering committee comprised of VDGIF biologists, as well as pastand current board members of the VSO. Members of this committee were instrumental in launching this second bird monitoring effort for the state of Virginia. Dr. Ashley Peele is a research scientist at Virginia Tech’s Conservation Management Institute and the Statewide Coordinator for the VABBA2.